In Britain, Brian Cox is a rock star physicist, and the leading physics popularizer after Hawking. In this BBC broadcast interview, he talks about himself and tries to explain quantum mechanics. I am happy to see real physicists explain their subject to the public, but I am not sure he is helping. First he says that he is an advocate of the many-worlds interpretation (MWI), as more and more other physicists are becoming converts, and does not like the Copenhagen interpretation. He says that MWI is simpler because it avoids wave function collapse. Under Copenhagen, the reality of the Schroedinger cat becomes actualized when you open the box, and the cat is alive or dead. In MWI, cats live and die in parallel universes. Then he explains [at 21:20] quantum mechanics in terms of particles that hop from place to place according to probabilities given by a very simple rule called the action, according to the Feynman path integral formulation. This is incoherent. The appeal of the MWI is that the wave function is supreme, and there are no particles, no hopping, and no probabilities. 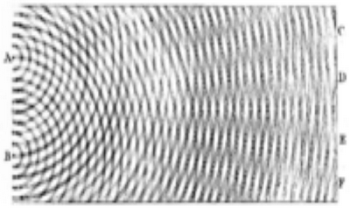 Electrons only look like hopping particles when you collapse the wave function, or you get fooled by some interference between the electron and the measuring equipment. And MWI cannot give probabilities because all possibilities happen in parallel universes, and there is no way to say that some universes are more likely than others. The Feynman action (ie, path integral formulation) is not a very simple rule. I previously criticized Cox for saying that quantum mechanics causes your body to shift, "albeit absolutely imperceptibly", in response to events on the other side of the universe. I get the impression that these physics publicity seekers have discovered that they get much more attention if they babble nonsense about quantum mechanics. I really do not see how this is any better than peddling some pseudoscience like astrology. I would think that the respectable physicists would be annoyed that people like Cox are making the subject seem silly, and correct him. The simple reason all this foolishness is going on is quite obvious. 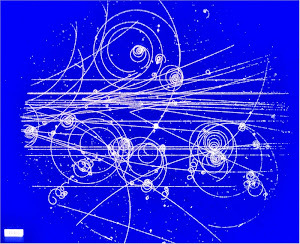 There is at present no such thing as 'Quantum Mechanics'. You do have a heuristic or ad hoc 'Quantum' equations posing as an explanation by reification, but no mechanics. Math is not a physical mechanism, in reality math can be used to model a physical relationship, but it can't 'be' the physical relationship modeled. This is why I also roll my eyes at discussion about 'space time' curvature touted as gravity (No, geometry is NOT gravity, explains nothing, and no model without an impulse to motion even being possible is even remotely close to reality) , singularities assigned mass (or having any physical presence outside of abstraction), and space warps dependent on actual space being treated as two dimensional (yet absurdly flexible in three dimensions to allow this 'warping'), all of which are mathematical fictions or artifacts entirely confined to their respective mathematical spaces.